Please make check payable to Brigid Strong and mail to Brendan Hickey, Treasurer-Brigid Strong, 10 Ladyslipper Lane, Falmouth, ME 04105. Or click DONATE to make a secure on-line donation. 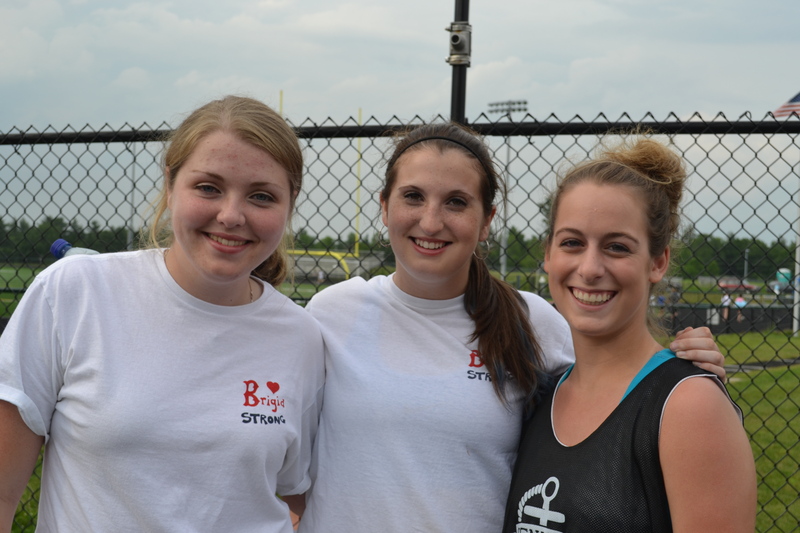 On Sunday, June 30th, a walk was held in support of Brigid and her family at the Falmouth High School track. The number of people who came out to support Brigid was overwhelming!!!! The weather held as we knew it would!!! Special thanks to all who participated, made donations (especially Bernie’s Foreside, Portland Pie, European Bakery and Coca Cola). helped with set-up, clean up, bake sale, concessions and art exhibit!!! Also greatly appreciated was the wonderful music provided by the Evers Webb Band as well as Connor McGrory and Xander Nelson. Many of the Tufts football team and coach even arrived to show their support to their teammate and friend, Jack Cooleen. The loving spirit of the day was captured in an amazing video created by Alden Bohrmann (below). It was a great day where the community had a chance to show their love and support for an amazing kid and her family. Brigid Strong t-shirts, featuring Brigid’s original artwork, are available for $20 each with all proceeds going to the Brigid Strong Fund. Pick up your shirt at one of four Falmouth locations: Madden’s Pub & Grill, Bernie’s Foreside, and Town Landing Market or contact Jen Hickey (bhickey1@maine.rr.com) or Charlie McBrady (cmmcbrady@aol.com). 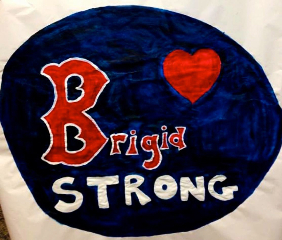 Brigid Strong bracelets are available for $3 per bracelet, or 2 for $5 at Madden’s Pub & Grill, Eddie’s Variety, Waldo’s, and Sashay’s or contact Jen Hickey (bhickey1@maine.rr.com). The blue ribbons around town were put up originally by the field hockey as a show of support for Brigid. Blue’s always been her favorite color. If you’re interested in hanging any up, please contact Stacey Ryan (staceyeryan@gmail.com) or Lisa Gilbert (lisagilbert002@gmail.com). 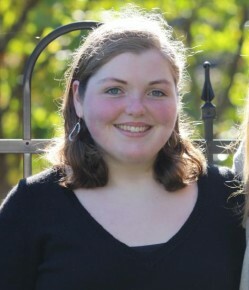 Thank you to both Bueno Loco and Portland Pie for your amazing fundraising events for Brigid! 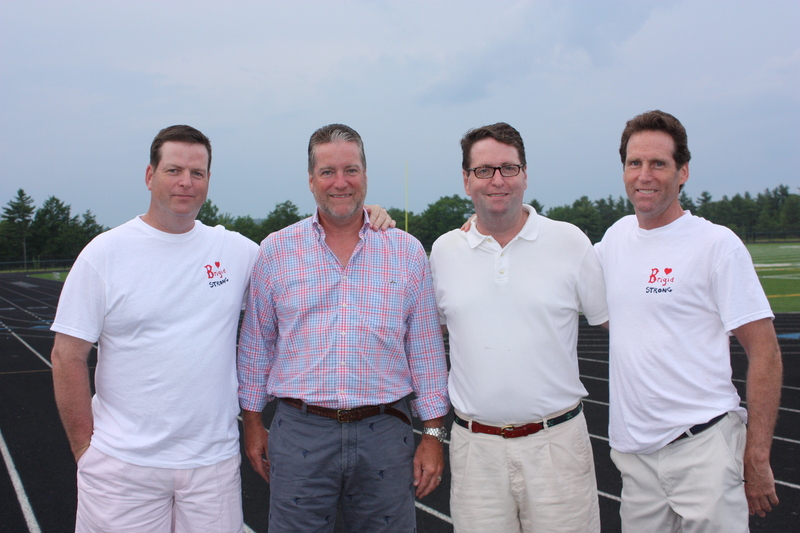 And thank you as well to Eddie’s Variety and the DiPhilippo Family for your continuing support and generosity!